The Hi-Flo II Above Ground pump was designed for superior and efficient performance. 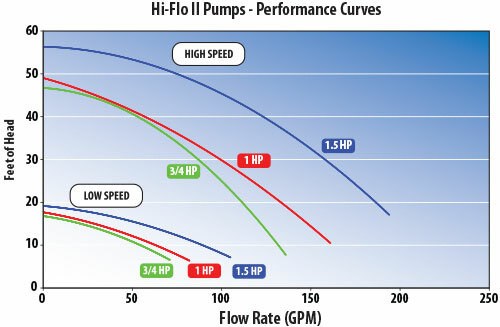 The Hi-Flo II pump features a high flow rate performance for faster filtering cycles. This pump is ideal for new installations or as a replacement pump. Hi,can this pump be used for an inground pool (15000 gallons)? A Answered on 10/22/2014 by InyoPools Product Specialist Alex V.
Unfortunately this pump is for above ground pools. You can view the Waterway inground pool pumps here.